The multi-award winning, affordable and accurate personal breathalyser. The Alcosense Elite breathalyser is easy to use. Similar to the size of a mobile phone, you simply slide it open, wait until it indicates that it is ready to begin analysis of a breath sample and blow through the tube for approximately 5 seconds until it beeps. It will then display your BAC (blood alcohol content) to 2 decimal places while at the same time alerting you if you are under the legal limit, close to the legal limit or over the legal limit. The Alcosense Elite breathalyser has an auto clean feature which will automatically clean its sensors after each use. This helps ensure that this breathalyser will continue to provide accurate readings over its lifetime. There is also a deeper cleaning feature which can be manually activated from time to time. Every Alcosense unit is put through extensive testing before being shipped to the customer which ensures every device is reliable and accurate upon arrival. 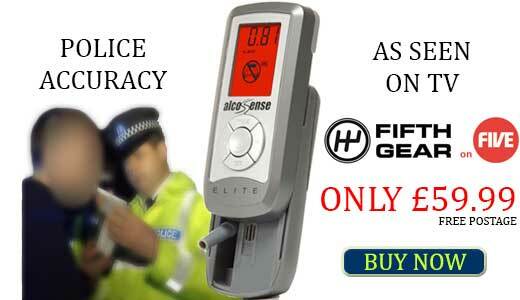 The AlcoSense Elite has an industry leading accuracy of +/-0.2‰BAC which is unique in this price range. 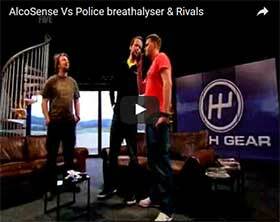 The readings the Alcosense Elite produced were tested and compared to those produced by a type approved police breathalyser and were found to be identical. Almost 18% of all drink drivers are caught the morning after the night before, don't leave it to chance. If your driving licence is important to you and you are a regular drinker, it will certainly pay to be safe rather than sorry.